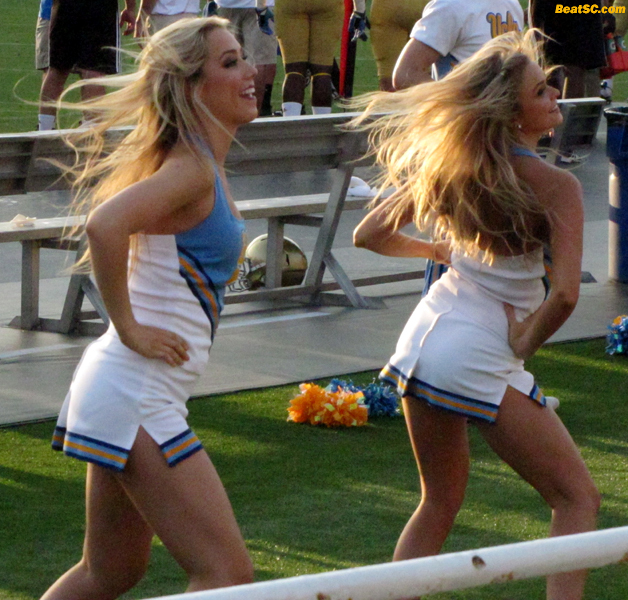 At UCLA on this Saturday, May 19th from 3:30pm until 6:30pm, the Bruin Spirit Squad’s Annual All-Access Reception will be held, and you, as a fan of the Squad, are invited. The event is open to the public, with all proceeds going to the Squad, to help pay for books and tuition, uniforms, travel, and coaches’ salaries. No one is more deserving of the support, as you have seen, every day that you come to this website. A portion of your admission is tax-deductible, but that is not the reason to attend. 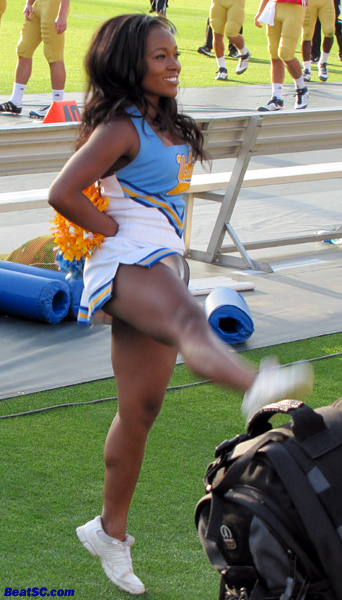 After everything that the Spirit Squad has done for UCLA, you owe it to them to come out and show your appreciation. But if that isn’t enough to drag you out of your cage on a Saturday afternoon, how about the chance to see and meet UCLA Football Coach Jim Mora in a small, intimate setting? Mora will be making a speech to the true fans of the Spirit Squad, and will most likely be schmoozing with them while the heavy hors d’oeuvres are circulated, and while the Wine flows from the bars. If last year is any indication, the hor d’oeuvres themselves will be worth the price of admission. Last time, they were absolutely gourmet cuisine, and they kept coming and coming and coming. And if you are on a diet or just not a “foodie,” there is still more that should draw you to this happening: How about a Silent Auction of a multitude of Bruin-related and non-Bruin related items valued at “priceless” in my opinion. And if you don’t like bidding in silent auctions, then this should be more to your liking: There will be DRAWINGS to win special packages from UCLA and awesome baskets of goodies. In the past the giveaways have included BABYSITTING by members of the Dance Team, tickets to games, Spa Treatments, Restaurant Gift Certificates, fan fun collections, tailgating appearances by squadmembers, culinary delicacies, and much, much more. This year will also have a first: An appearance by the adorable Junior Spirit Squad. There will also be a kids’ VIP room, with a bounce-house and face-painting. 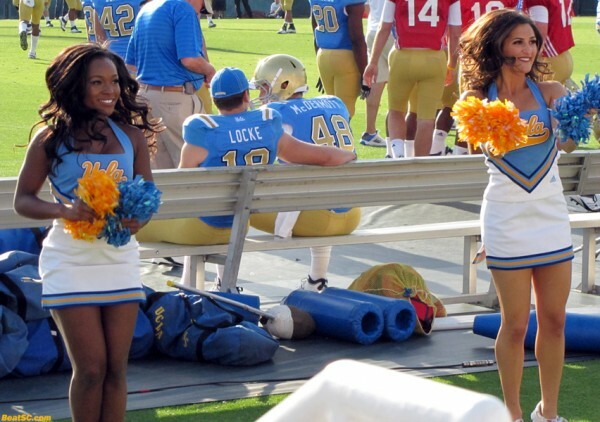 So bring the whole family, and have a great time, while supporting the totally worthy cause of UCLA Spirit. 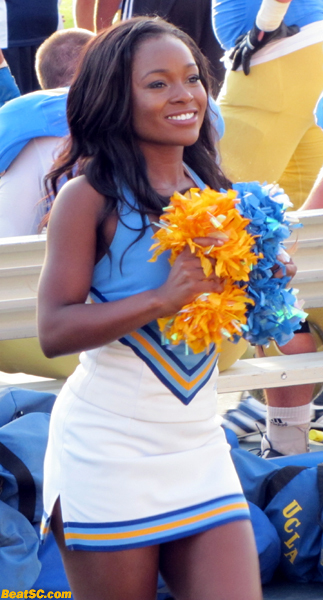 "SUPPORTABELLA" was published on May 18th, 2012 and is listed in Blue & Gold News, UCLA/usc/Cheerleader Photos.